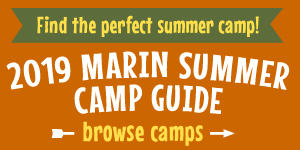 Getting a good workout in can sometimes be difficult with little ones around, so we've put together this list of Marin County drop-in fitness classes that offer childcare at the same time. Some of these fitness centers require memberships, but those that do often offer day passes so you can give it a try; check their websites or give them a call for complete details and class schedules. Pomegranate in San Anselmo offers a variety of pre and postnatal yoga classes. Onsite childcare is $8 per child per class and is available for select classes. Class info. Classes include bootcamp, zumba, yoga, pilates, etc. While you work out kids 6 weeks and up can have fun in the Kids Club, which offers a variety of activities, great toys, art supplies books, and a play yard, and is staffed by a CPR-certified team. Kids club is included in your family membership at no charge. Reservations required. Class info. The Osher Marin JCC in San Rafael offers Pilates, group fitness, Zumba, yoga, and more, in addition to its aquatics program. Children 10 weeks to 9 year are welcome at the KidCare on-site childcare. $10 per child, $8 per sibling members; $14/$12 general public. Class info. LUNA offers fitness and wellness classes for moms, including prenatal and postnatal group classes, personal training, HIIT and bootcamp classes, and more. Childcare is available For $6 per child. Pre-registration for both classes and childcare required. Class info. The Dailey Method offers barre classes. They offer a wide-range of classes and childcare too. Childcare costs $6 for one session or $60 for 10 sessions. The Marin YMCA hosts numerous fitness classes including yoga, group fitness, Pilates, water exercise, cardio dance, and Zumba. Child care for ages 7 weeks to 7 years at Y-Kids is available for free with a family membership plan. Class info. Barre classes start at $25 per class and the cost for childcare is $8 per child. Class info. Classes at this women's fitness center in San Anselmo include abs, barre, dance, sculpt, yoga, group fitness, and Zumba. Drop-in childcare in the Kids' Korner nursery. Class info. The Mill Valley Community Center offers a wide variety of classes and programs for parents and famiiles. Fitness classes include aquatics, barre, Pilates, pre/post natal, sculpt, spin, step, and yoga. Childcare costs $6 per child for the first hour, then $2.25 for each additional 15 minutes. Class info. Classes at Pilates Pro Works include Pilates, barre, and TRX Pro. They offer a wide-range of classes to choose from. Childcare costs $11 first hour per child + $2.25 every 15 minutes thereafter. Class info.